Line card diagram for the ASR9000 ASR9K-VSM-500 module (click to view original image). The 4x SFP+ ports on the front of the module are for 10G FCoE only, not "regular" Ethernet II. 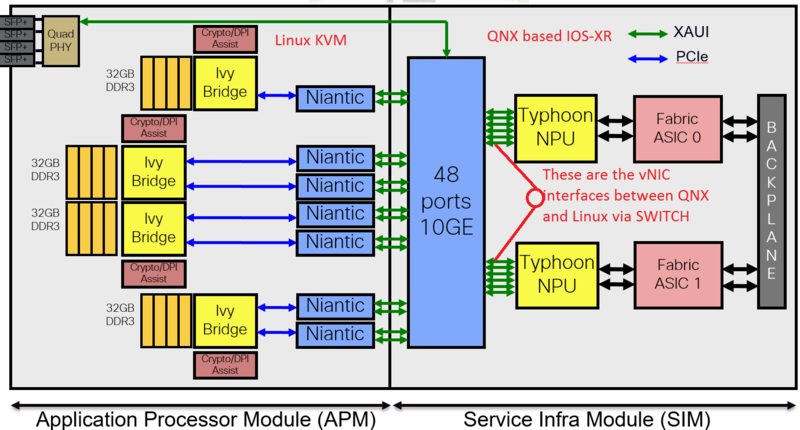 When configurating the card within IOS-XR one can assign "virtual" 10G NICs to the VMs running on the card which are actually internal 10G links to the chassis backplane (as well as the 4x 10GFCoE front-ports).